Over the past seven years, the ULI South Carolina Capital Markets Conference has become the premier Capital Conference in the Southeast. 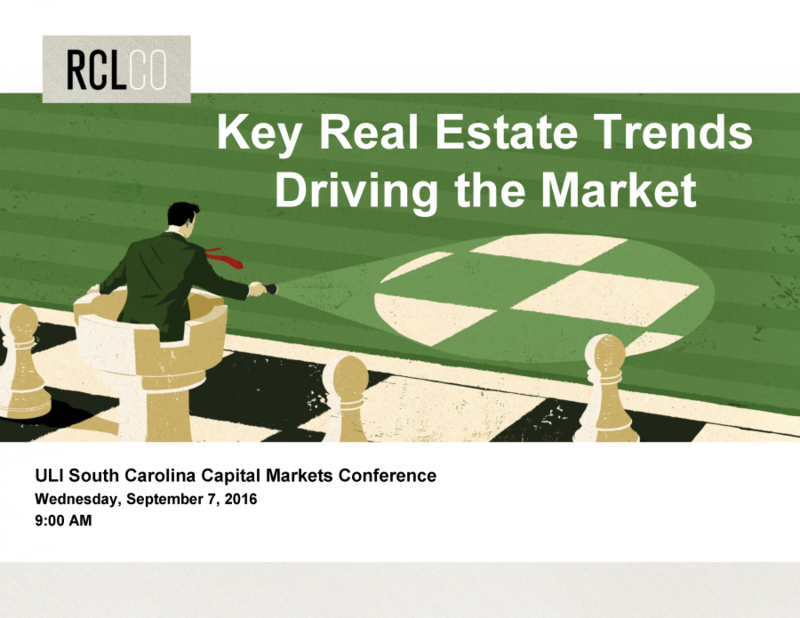 On September 6 – 7, 2016, the 8th Annual ULI Capital Markets Conference brought together both providers and users of capital to explore key trends that are driving successful real estate investing. Nearly 400 owners, developers, lenders, and investors came together at the Sanctuary to make new connections, source deals, and gain insights into the latest finance and investment trends. The program provided practical examples of deal structures that have been successful and insights regarding development finance, institutional investor perspectives, repositioning assets, private equity firms, and public-private development finance.